Turmeric is known for its health and healing properties. However, understanding some of turmeric side effects is beneficial for all concerned. Turmeric is added to most curries, especially in Southeast Asian countries. It is a spice made from grinding curcumin roots and belongs to the ginger family. Most often used as a spice to color foods and provide a distinct taste, turmeric also has various health properties. For example, turmeric is high in anti-inflammatory properties. This fact is further verified by research. Turmeric is also good for diarrhea, loss of appetite, heartburn, jaundice and gallbladder disorders, etc. Although it has its health benefits, high doses of turmeric can have a number of side effects. Having a proper understanding of such side effects will be helpful to ensure that this spice is used in moderation. What Are the Turmeric Side Effects? According to the University of Michigan Health Center, the recommended daily intake of turmeric should not exceed 240 to 500 milligrams three times a day. Consuming any more than this, can cause side effects. Some of the negative side effects of turmeric are mentioned below. Drug Interaction - Turmeric can interact with over-the-counter and prescription medications and interfere with how the drugs work. 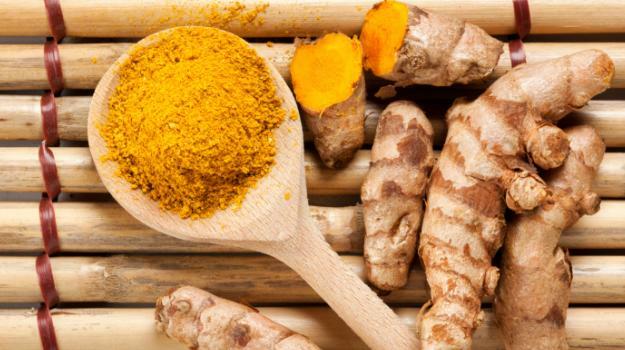 The University of Maryland Medical Center informs that the blood clotting process can be severely hampered with patients who take turmeric supplements. In addition, drugs taken for stomach acid reduction and diabetes can also interact with turmeric supplement use. Allergies - Turmeric is beneficial for many allergies. However, this can be a two-edged sword. Some individuals may be allergic to turmeric, resulting in psoriasis or dermatitis, stomach problems, heartburn, etc. Direct contact with turmeric may cause irritation, swelling and redness of the skin. Any person, allergic to turmeric, should refrain from coming into contact with turmeric and foods that contain this spice. Kidney Stones - People with a history of kidney stones should avoid taking turmeric supplements. Turmeric has high concentrations of oxalate. This can increase the formation of kidney stones, one of the serious turmeric side effects you should pay attention to. Increased Bleeding - High amounts of turmeric inhibit the blood clotting process. This can be extremely risky for patients on blood thinners, such as, Coumadin and Plavix. Patients considering any surgery, and taking blood thinning agents, should refrain from turmeric use, at least, one or two weeks before surgery. Turmeric should also be avoided during pregnancy as this encourages menstruation and increases the risk of a miscarriage. Breast Cancer - Turmeric has been identified, by many researchers and scientists, as a cancer fighting agent. Curcumin, the plant from which turmeric is derived, has been identified as a potent cell protectant and antioxidant. During studies, curcumin has shown to decrease certain cancer cells, thereby, reducing the risk of breast cancer. However, patients should always obtain the advice of their doctors about turmeric use. Diabetes - The active ingredient of turmeric, curcumin, is also known to reduce the incidence of Type 2 diabetes and improve B cell function in pre-diabetes patients. Although this is extremely good news for diabetes patients, they should be cautious of experiencing hypoglycemia (low blood glucose levels), if already on diabetes medications. Infertility - Men who take turmeric by mouth might have low testosterone levels and inactive sperm, which can cause infertility. The uses of turmeric and its active ingredient, curcumin, have not been researched thoroughly. Therefore, persons considering taking turmeric for various conditions, along with their medications, should always consider the advice of a medical expert, for avoiding any turmeric side effects.